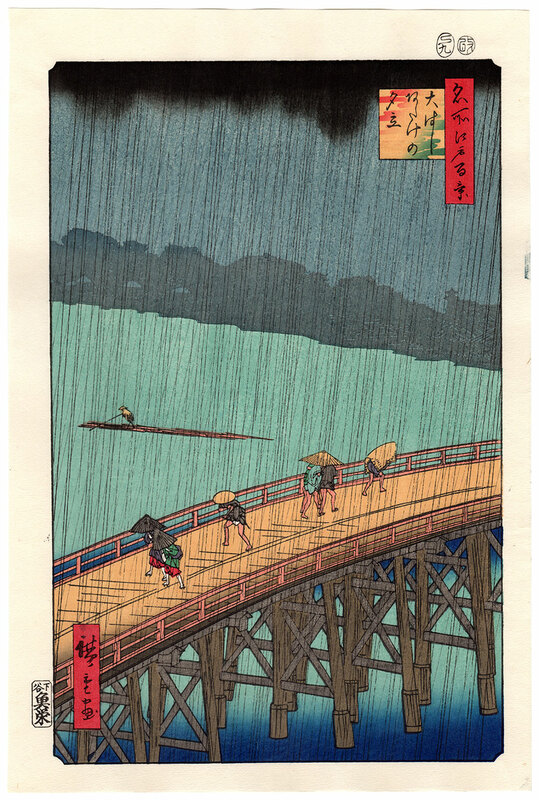 Some passers-by, caught in a sudden summer shower, are shown crossing the Ohashi (大はし) bridge and sheltering with umbrellas, hats and straw capes. The two women on the left, in their haste, even show their red petticoats. On the Sumida River (隅田川), a boatman heads for the Fukagawa (深川) timber yards to find shelter. 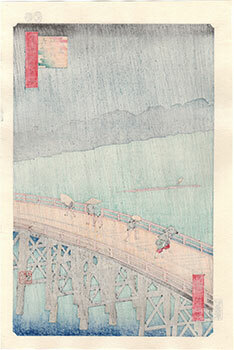 In the background, obscured by heavy rain, the port area of Atake (あたけ) where the famous government vessel Atakemaru (安宅丸) was moored. 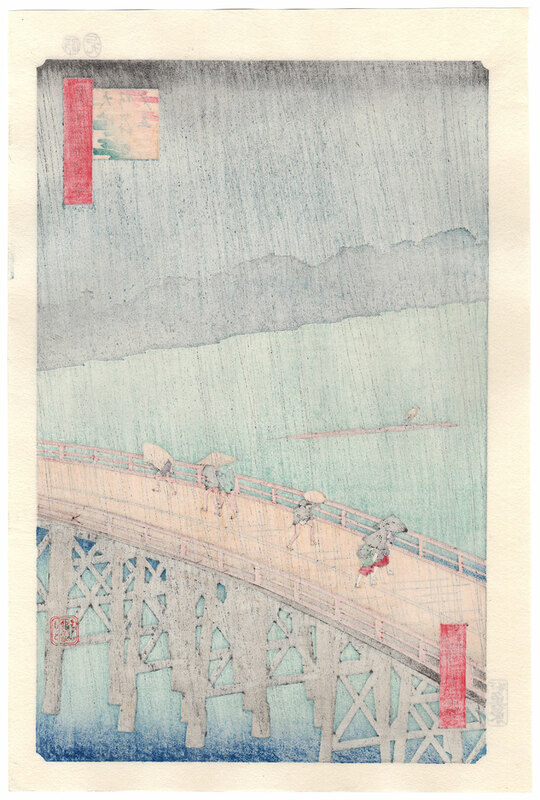 The climax of this woodblock print is the masterful atmospheric effect obtained with the thin lines of rain that cross the entire image. 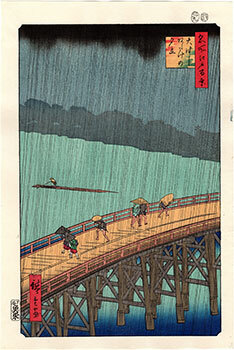 The work, one of the most iconic images from the series "One Hundred Famous Views of Edo" (名所江戸百景) by the artist Utagawa Hiroshige (歌川広重), is entitled "Sudden Shower over Ohashi Bridge and Atake" (大はしあたけの夕立) and was printed for the first time in September 1857 by the publisher Uoya Eikichi (魚屋栄吉). The woodblock print is presented here in a 2018 fine re-edition on Japanese washi paper (和紙) made, as we read in the seal on the back, by the prestigious Takamizawa Mokuhansha (高見澤木版社) in Tokyo and is in very good general condition.